Newport, Rhode Island attracts a LOT of real estate buyers and for good reason! It's easily one of the most beautiful cities in the US, if not the world (America's Prettiest Towns, 24 New England Towns). 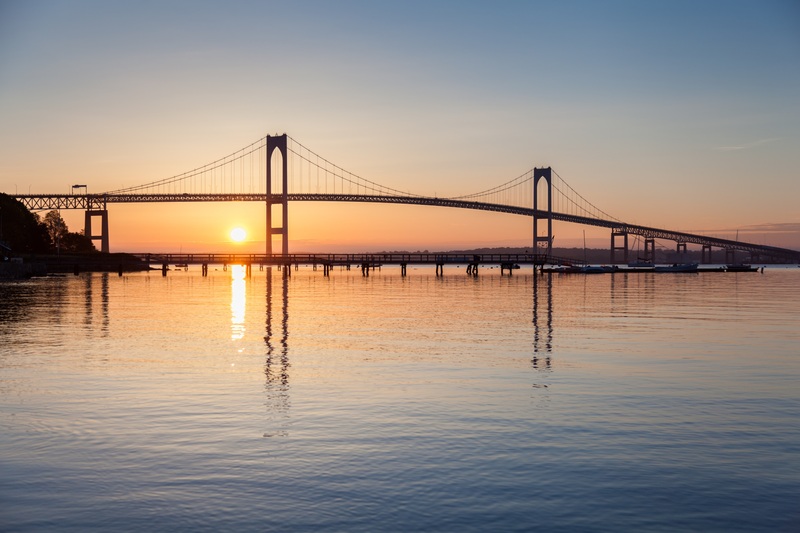 Newport has a thriving and well managed tourism industry, is home to the US Naval War College and Salve Regina University, and is host to a multitude of National and International Sailing Events. This creates the perfect storm of renters. If you're in the market for a great investment property, start your search HERE. Keep reading below to learn more about becoming an investor in Rhode Island and Newport! As a general (seriously, this is a "GENERAL" rule) you can legally rent two times per year in the city of Newport without too much restriction. Out of state property owners are required to designate a Registered Agent. This should be a permanent office or Agency. Landlords who do NOT have a Registered Agent risk substantial penalties if any issue arises with their property. Hire a professional Rental Manager who can serve as your designated agent. Properties in Newport are required to file a Rental Registration Form if they are going to have any lease terms that are less than 9 months. The cost is $20 for Registration and $25 for Inspection as of June 2017 for the January 1, 2017 - December 31, 2017. With the increasing popularity of AirBnB many investors in the Newport market are looking for homes they can use for shorter term rentals. Looking for more info on this type of rental? Email me at sandiwarner@warnerrealtygr.com or call/text me at 401-662-7204 or look for other articles coming soon that address this topic. Summer/Winter Rentals: This post will focus on renting two times per year; Winter and Summer. The most common scenario is a September to May or June tenant then a June-August tenant. Summer rentals are "premium" rentals and often at a much higher rate than a winter rental. Conversely, Winter rentals are often priced at a discount because it's a smaller market. Successful summer rentals are usually furnished and fitted out with basic kitchen needs. Renters are looking for a nice place to live, and will shop around taking into account location, parking, amenities like laundry and well laid out kitchens, as well as the quality and finish of the apartment. They are generally willing to pay a premium for nice places. Winter rentals are generally filled by Salve students, faculty and staff, Roger Williams students, faculty and staff (less frequently due to distance to Bristol) and maybe some geographic bachelors from the Navy. There are short term winter classes at the War College that will bring families for some odd lengths of time, maybe 6 weeks or 4 months, and that can help keep a rental property in the black financially. Salve tends to pay in the range of $400 to $800 per bedroom depending on their family circumstances and the quality of the apartment. A two bedroom apartment for a winter rental is likely to run in the range of $1200 - $1600 for the winter. Some will include utilities, some will not. Nicer units with better furnishings bring more money. Updated units with energy efficient retrofits are more popular as a rule. Parking and location are also factors. 25 West Narragansett - In the heart of the Fifth Ward/Yachting Village - 3 BR | 1 BA Apartment . - Listed for $3200 per month including everything for June and July. This post is being written on Jun 7 and the apartment appears to be available still. It all depends on your goals. Are you looking to just cover the nut on your awesome summer pad in Newport? Or are you looking to purchase a property with an acceptable cap rate that allows you a reasonable return on your investment? Do you want to have a place where you can leave your favorite things and come back lots of times over the year? Or do you have a high risk tolerance and want to run a small business? Whatever you do, hire an expert to guide you through! Call Warner Realty Group at 401-662-7204 for a free consultation today or check out www.nptrealty.com . From searching for potential properties, to connecting you with local vendors and service suppliers to searching for and vetting the best rental candidates, you don't need to reinvent the wheel. Talk to a professional with a proven track record who can save you time and headaches.